Jobu hands out All-Star break awards to the New York Yankees. 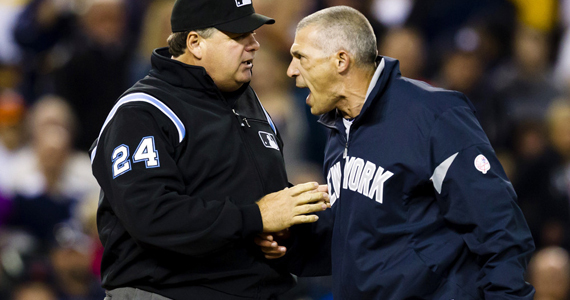 It’s been a bit of a stressful first half for Yankees fans, hasn’t it? The team has no offense, and even the pitching has faltered a bit of late. That’s why, as we sit here, the Yankees are six games out of first place (4.5 out of the Wild Card), and things aren’t looking good for the Bronx Bombers for the rest of 2013. As a fan, I’m OK with that. Nobody likes losing, but I’m hoping they don’t make any stupid desperation trades at the break that hurt the team in the long run. Anyway, onto the awards! There’s not going to be any surprises with this one. The MVY has clearly been Robinson Cano. Let’s not kid ourselves here. 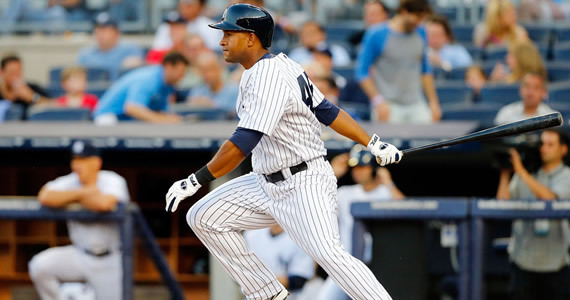 In a contract year, Canó has overcome the odds to put together a pretty impressive season thus far. The 30-year old second baseman is hitting .302/.386/.917 with 21 homers and 65 RBI. Now, these are good numbers for just about anyone. For someone in this particular lineup, however, he might as well be Babe Ruth. With the corpses of Vernon Wells, Lyle Overbay (sorry Lyle, we love you) and Travis Hafner snuggled tightly behind him in the lineup, there’s no reason for anyone to ever pitch to him. He should. by all means, have 409 walks this year (that’s how many plate appearances he has). In a real lineup, Canó might already have 30 homers, and he wouldn’t be barely on pace for 100 RBI. He’s not even on pace to score 100 runs hitting third for the New York Yankees, for crying out loud. It’s truly remarkable what he’s been able to do, and I hope the Yankees reward him, not just with a big ol’ contract, but also by surrounding him with actual living human beings in the lineup for next season and beyond. That’s right. I’m calling it the Whitey Ford Award. Cy Young played for the Sox, screw him. Also, it rhymes tremendously and is fun to say. Whitey Ford Award! I’m like a regular Snoop Diggle Doug, or whatever you kids are calling him these days. Also, can I just say… let’s leave the man alone for his most recent name change. He went to Jamaica, smoked himself foolish and decided he’s a Lion now. Ok? We’ve all done worse while partying. In college, my roommates once dubbed me “The Big Barfman.” for my exploits. I’ve outgrown that, for the most part, and maybe some day Snoop will too. OK sorry, that was a bit of a tangent. 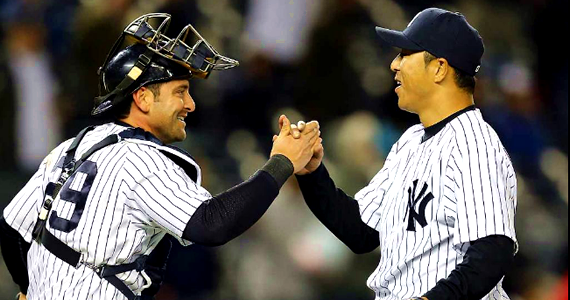 That’s because the Yankees Whitey Ford Award (wicka wicka woo woo) has clearly been Hiroki Kuroda. Like a fine wine (I’d say Sake, but I don’t know if that ages well), Kuroda seems to be getting better with age. He’s 38 now and pitching in the toughest division in baseball, and he’s having the best season of his major league career. Kuroda has put up a career low 2.65 ERA, and his 1.053 WHIP is also a low so far. He’s taken the ball every five days without incident, and has really been a tour de force in this rotation. Thank you Hiroki, I hope you pitch forever. 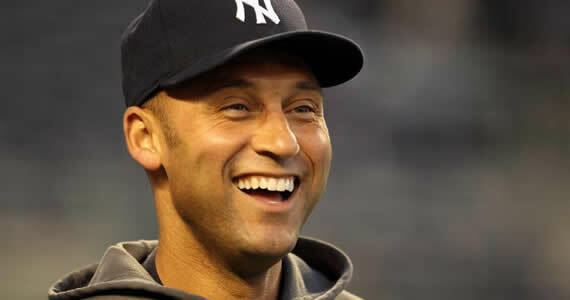 You’re so much better than CC Sabathia. The Yankees have had more rookies contribute this year than I ever remember them having before. Not since the early 90s, when guys like Pat Kelly, Kevin Maas, Jim Leyritz, Wade Taylor, Jeff Johnson and Oscar Azocar were around, have I seen so many youngsters contribute to the big league team. This year, We’ve seen guys like Zoilo Almonte, Austin Romine, David Adams, Thomas Neal and Corban Joseph make appearances on offense and Adam Warren, Preston Claiborn, Vidal Nuno and Brett Marshall have helped out of the bullpen and rotation. That’s nine rooks right there. Nine! The rookie of the year on offense, despite limited playing time, has definitely been Zoilo Almonte. It certainly helps him that guys like Romine and Adams have struggled mightily, but he truly has earned this award. Before Zoilo came on the scene, we had to deal with Vernon Wells. Every Day. Wells started out great, as Zombies often do, but once his flesh started rotting away, he began to struggle. Zoilo burst onto the scene, putting together some monster games to start his career. He has since cooled a bit, but he’s still hitting .267/.312/.349 with a homer and three stolen bases. The slugging percentage is a bit low, for sure, but he’s played great defense too, so we give him a slight pass on that. Also. Have I mentioned he’s not a living corpse? Congratulations, Zoilo. Let’s face it, I could have picked ten guys to feature in this section. Lot’s of guys have underachieved, and some of them have barely even played yet this year. I’m not going to pick on guys like Wells, Hafner, Overbay, Chris Stewart or Jayson Nix. They’re being pushed far beyond their talent levels because of injuries to other disappointments like Kevin Youkilis, Mark Teixeira, Curtis Granderson, Derek Jeter, Alex Rodriguez and Francisco Cervelli. I’m not going to blame those guys either, because injuries happen. Also, I’ve been so glad ARod isn’t here, that he should be rewarded for being hurt. What a douche. No, my Flippity Flop Award had to go to someone who has contributed all year long, in the role he’s supposed to have, just not very well. I’m sorry to say this one was almost a tossup between two rotation mainstays. The two guys I’ve been most disappointed in this season have got to be Andy Pettitte and CC Sabathia. Pettitte is going to get the slightest pass on this, because he’s old. He might not be having a bad year. He might just be doing his best. Also, he hasn’t been awful when compared to realistic expectations. Sabathia, on the other hand, is paid an Ace’s salary. He’s supposed to be the number one every five days. He’s supposed to be doing what Kuroda is doing. Instead, he’s 9-8 with a 4.07 ERA and has already allowed 21 home runs (his career high is 22). 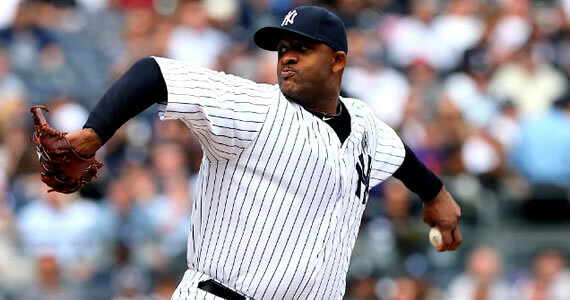 Simply put, Sabathia has been unreliable when the Yankees have needed him the most. Has he been the worst pitcher on the staff? No, that’s definitely now officially Phil Hughes. Is he better than what many teams have to put up there every fifth day? Probably. But he’s not the ace he’s supposed to be, and he hasn’t been for two years now. At the beginning of the season, his velocity was down. Everyone was concerned about that, and blamed it for his struggles. Well, he’s back nearing the mid-90s over his last few starts, and he just got beat up by the awful Minnesota Twins. I don’t know if, at soon-to-be 33 years old, Sabathia’s done being an ace, or if he will be able to adjust to pitching with lower velocity, like Mike Mussina did his final year. Either way, It’s annoying paying a guy that much money to pitch just well enough to lose every other time he gets the ball. Sure, things would be better for him if the Yankees could hit the ball, but it’s not like he’s losing every game 2-1 or 1-0 like Felix Hernandez in Seattle. I’m really hoping that the return of guys like Jeter and Granderson (for more than a few games) will spark the offense in the second half. They don’t need to score 10 runs per game. They just probably need two or three more each night, and I think they could be very successful. Michael Pineda will soon rejoin the rotation, which should help a ton. David Phelps should also be back soon, but I think the way Ivan Nova is pitching right now, Phelps should be in the bullpen. For me, Hughes is the odd man out, and I’ll be shocked if the Yankees recent efforts to trade both him and Joba Chamberlain don’t eventually bear fruit. Those guys aren’t coming back in 2014, so good riddance if we’re able to make them someone else’s problem for the next couple of months. As I mentioned last week, I’m definitely a little torn on the 2013 Yankees. On the one hand, no one wants to give up on a season in July, but I’m not sure that they can fix their team enough to be true contenders down the stretch anyway, so I don’t want them to go make any stupid trades either. Rental players might get you a couple of more wins, but you don’t want to mortgage the next 10 years to get that. Also, if the Yankees lose, then maybe the Steinbrenners will remember that they don’t own the Minnesota Twins, and we’ll end up with some talent from this upcoming free agency class. Let’s see what the rest of the year brings the Yankees. I’ll be watching.